In class, we regularly take time to draw with our markers or paint with a brush. 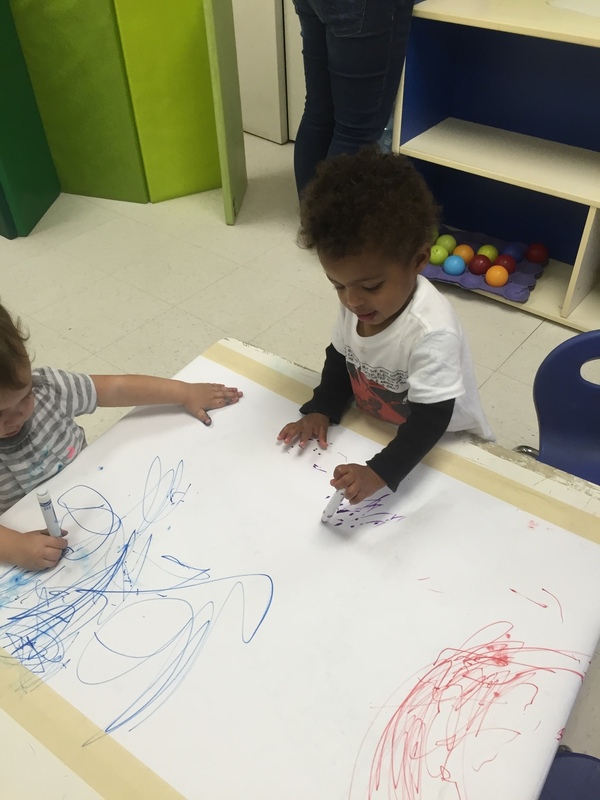 These activities help develop fine motor skills and serve as a great way for us to track the progress of each child’s skill level, writing, and understanding of the concepts we are learning in class. We highly prioritize tracking the children’s progress to ensure that their developmental needs are being met in a way that is interesting to them. We have noticed that each child has taken up their own methods and styles of drawing and painting in class. 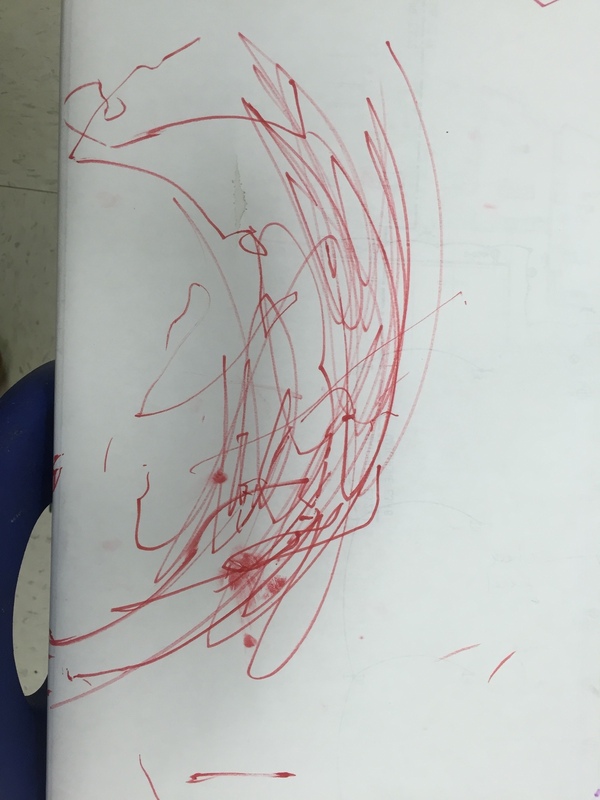 One child has begun drawing loops and circles and has started to use a more comfortable, ergonomic hand position for drawing. Sometimes she will hold the pen with the teachers and write notes along side them. Another child translates his interest in percussion into his drawing. He often uses his marker as a drumstick, drawing dots while also making music at the table. 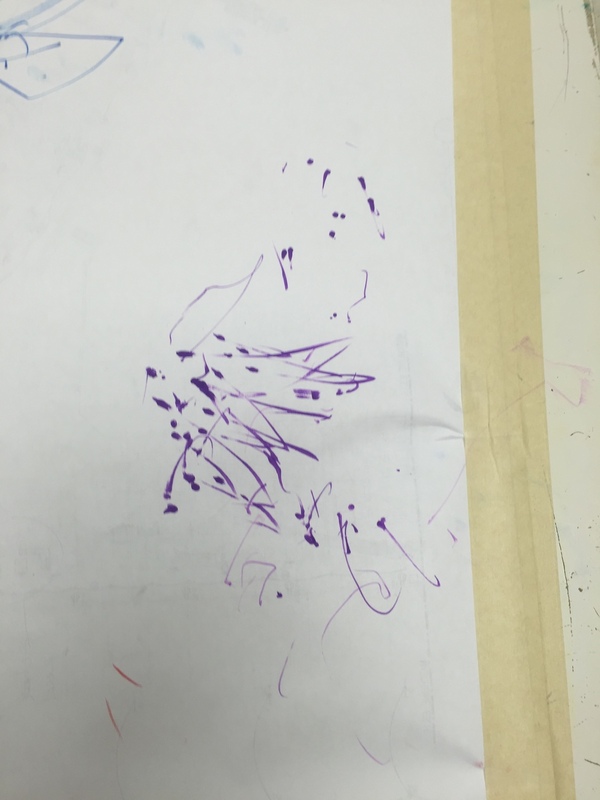 Another child has mastered the back and forth motion of scribbling and is also very interested in the mechanism of putting the pen in the cap. 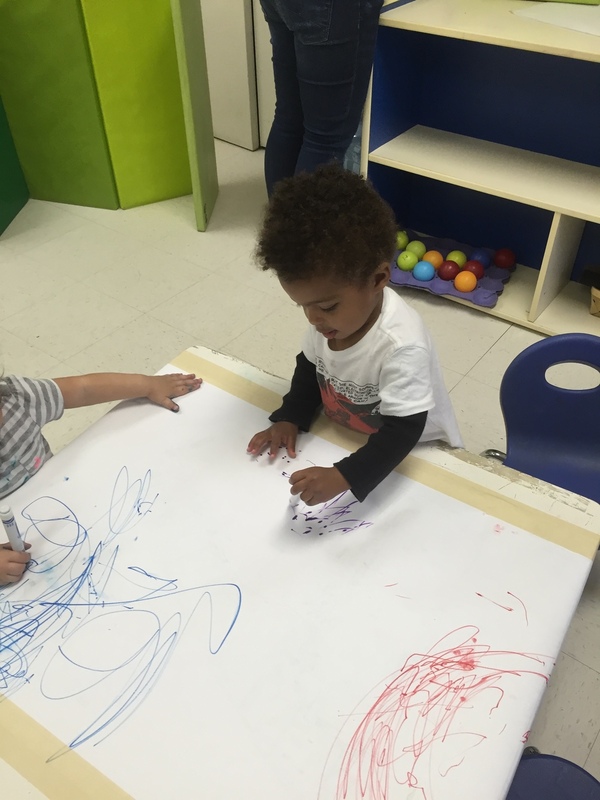 While free drawing and scribbling may not seem to have any special purpose, it actually serves as a wonderful creative and emotional outlet for young children. 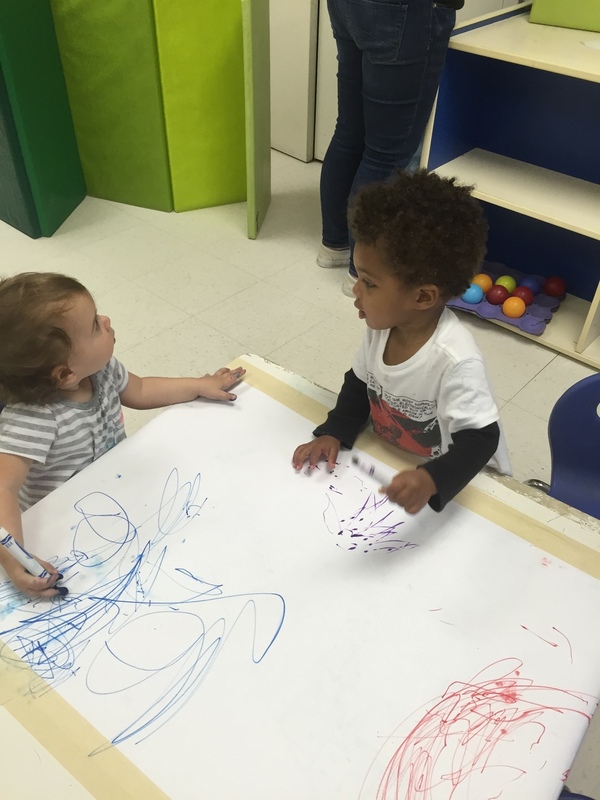 Providing children with a variety of mediums and colors allows them to freely express their thoughts and ideas, establishing a sense of ownership and independence. 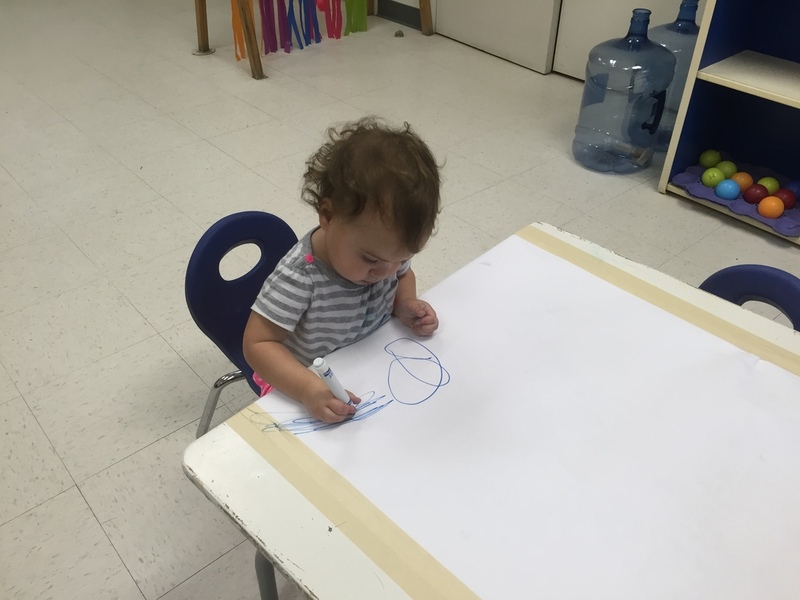 Allowing a child to draw or paint in his or her own manner is not only beneficial to them, but also to their peers. In these types of free exploration, the children are able to learn from one another. They get to observe and compare different techniques and approaches that they might not think of otherwise, learning to respect and value the work of others. This instills a sense of camaraderie while affirming self worth.